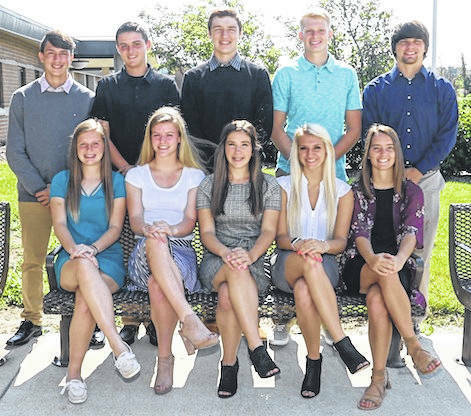 Northmor High School’s homecoming court. Front row, from left, Emma Marshall, Natalie Bloom, Mackenzie Zeger, Aly Blunk, Addie Farley. Back row, Niko Christo, Preston Harbolt, Hunter Mariotti, Chris Bood, Ryland Thomas. The game is Friday, Sept. 28 against Cardington.